Lockwood Primary School has been committed to science in our school for several years. In 2018, we’ve ramped up that commitment with the introduction of STEM. Each week, every grade has 2 hours of STEM with our STEM specialist teacher, Jessie Wardell. 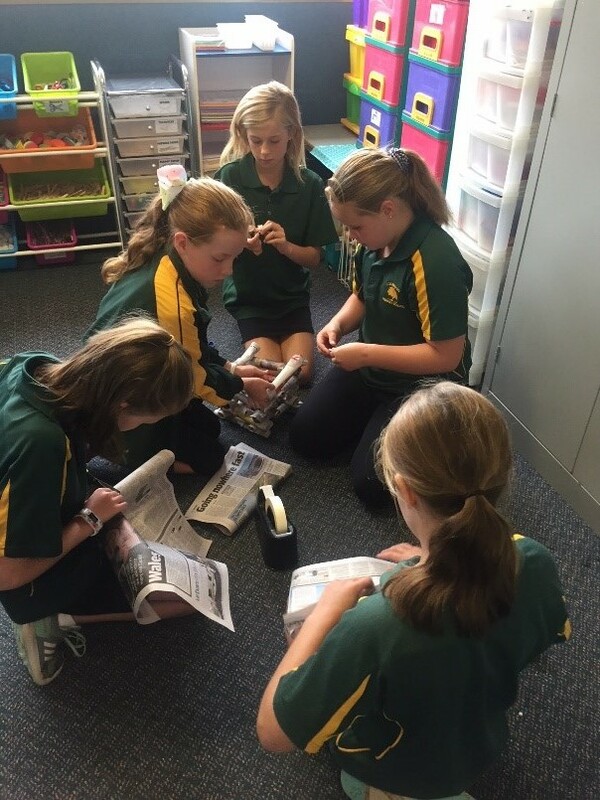 In Term One, Grades 2/3 are learning about simple machines and they began by making catapults and experimented flinging different weighted materials. We measured how far they went and even aimed for objects to land in a cup! Students made tallies to keep score and recorded the distance each object travelled. Grade 4-6's were given the STEM challenge of working in teams to design and build the tallest tower they could that is strong and stable enough to hold a basketball for 20 seconds, only using newspaper and tape. They worked collaboratively in teams to construct and test out their towers. In 2017, we received a Capital Works Grant from the State Government to create a dedicated STEM centre that will include a range of hands-on learning areas and technology, sited within a 21st century learning space.